Five search systems in one device to detect internal treasures such as precious metals and ancient monuments. 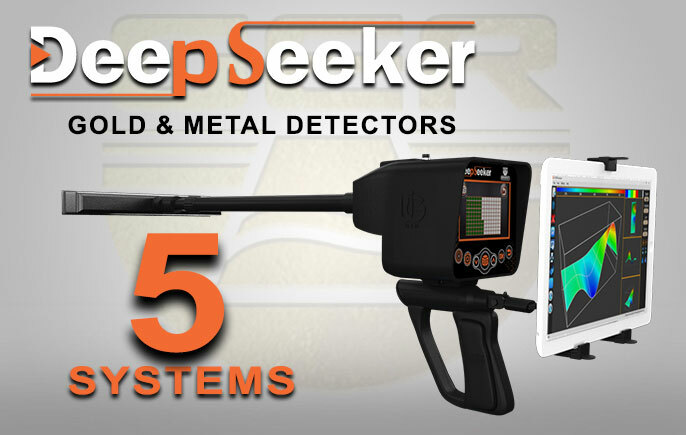 The world first-of-its-kind device that operates five innovative systems to detect internal treasures such as precious metals, ancient monuments, caves and cavities in the ground. 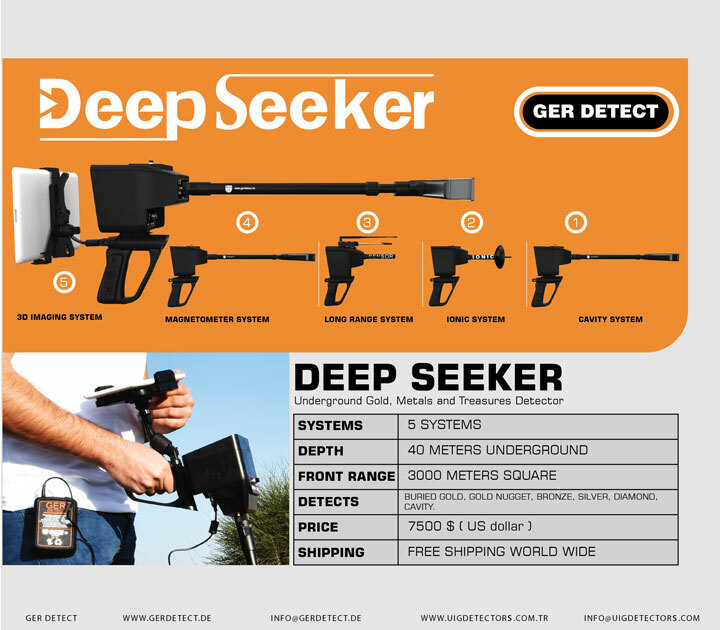 DEEP SEEKERis designed to operate in all kinds of terrain and in the most difficult climatic conditions. Which are one of the worst types of rocks that hinder the work of many devices available in the markets, this happens because of the change in these rocks as a result of their chemical interaction with the ground, which turned these rocks into a rock texture, in other words, metal components. First: Ionic fields search system. Second: Magnetic metals search system. 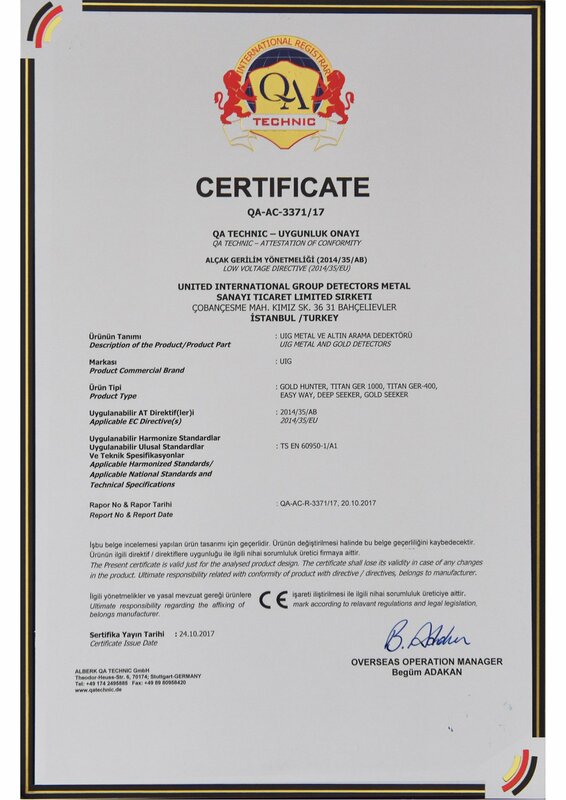 It is a system specialized in the detection of ionic fields that are formed around buried gold in the ground. The ionic fields are atomic radiations coming from small particles of gold and buried treasures after having remained underground for so long. Start the Search by moving the device from right to left, i.e. 180 degrees. When you hear a beep signal and the cursor appears on the screen, it indicates a target has been detected. Follow the beep signal by moving the device up and down. After you reach over the target, the beep signal will accelerate to confirm that the target is directly under the device. This system can also be used while driving. 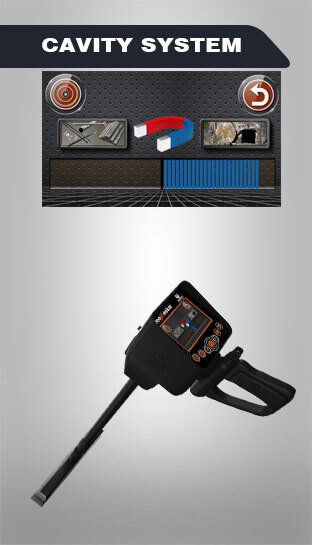 This system is specialized in the detection of magnetic metals such as iron and derivatives, this system allows you to know if there are any non-precious metal underground If there are magnetic metals, the device will make a beep signal over the target with the cursor showing on the screen. 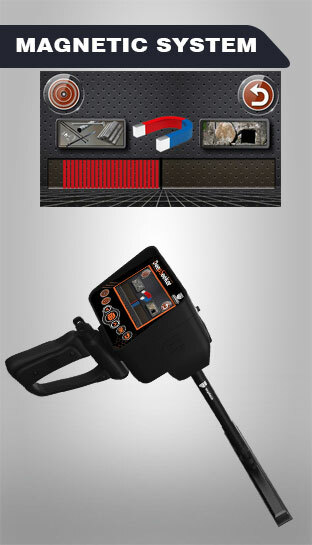 Within the metal magnetic system is another option: cavity detection. If there is a cavity, the device will make a beep signal over the target with the cursor showing on the screen. 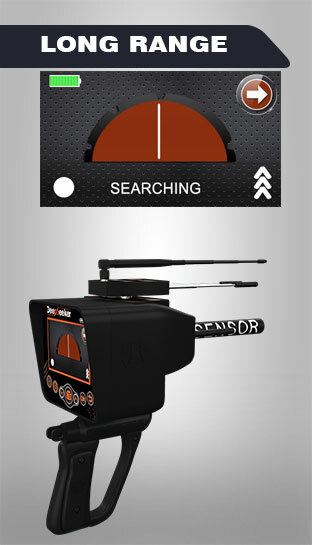 This system allows you to see the target in its three dimensions in the ground. 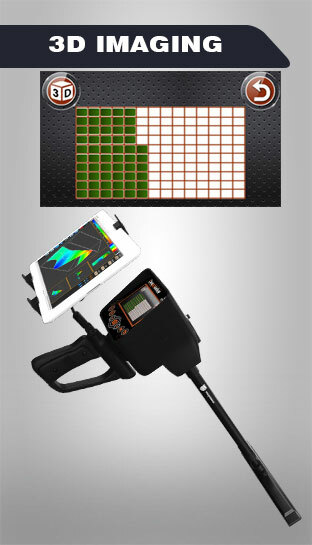 Make scanning for all the ground layers and shows the results as a three-dimensional photo with a detailed report of the depth, size and shape of the target. 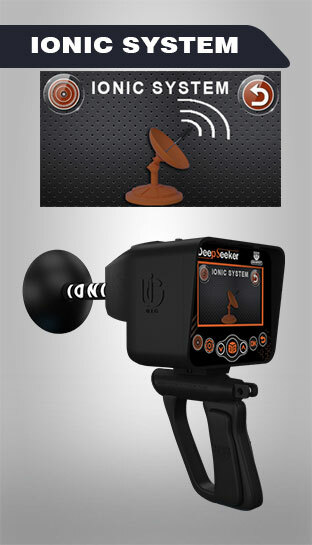 Start scanning by pressing the 3D button in the keypad. The turning of the signal recipient towards the target directly. The direction of the target appears on the smart screen. Making a beep sound when the signal recipient turning towards the target. Confirm the direction of the target using the four directions to ensure more accurate reach to the target. Trace the signal and when the signal recipient turns back, this means that you have gone past the target Narrow the search location by marking it as the center of the target to be confirmed Then confirm the location of the target from the four directions (from south to north - from north to south - from west to east - from east to west). DEEP SEEKERallows users to operate two control systems: touch system and keyboard system. It operates in six languages: (German - English - French - Italian - Spanish – and Arabic). Users can choose the type of soil in the search area: (natural - clay - rock - sand - mixed – or metal) to obtain more accurate results. It works with a front range up to 3000 square meters and a depth of 40 meters. The ability to penetrate ground layers to great depths that are difficult for many other devices to reach. It has a Digital compass to help Users to identify the north and south directions. Settings menu contains (adjust sound - adjust brightness - device information). The device weight with full accessories is 5 KG. 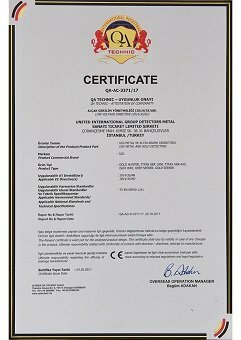 DEEP SEEKER Device is one of the best German innovations with European cϵ certification according to international specifications.